When starting any new business, your marketing strategies can really make or break your business. It’s important to make full use of the marketing tools available in your area in order to publicise your business and services. Trade shows are a great way to meet new people, meet potential new clients and get to know other business owners in the area, as well as suppliers. You could consider renting a booth to display your business and your products and spend some time getting to know some locals and boost your business. You could even try and run a competition to catch the attention of passers by. There are plenty of associations run by locals to help people with new business to get the word out and also to meet other new business owners. There are also some associations for people to network with other people in the area. Take a look in your local paper for any announcements of any local groups or associations that are running any meetings. If there are no groups or associations in your local area, you might want to consider starting one up and getting other local businesses involved. You may have seen plenty of larger companies and business run a referral program for their customers that give a bonus of some kind to their existing clients. This kind of program isn’t just for the big companies but can work very well for a new local business like yours. You can set it up in any way you like to suit your needs. You may offer a discount on a client’s’ clean or service or a free clean when they refer a certain amount of clients to you. It may seem like an expensive way to gain more clients in the short term, but in the long run you will be extending your client base immensely. Although this may seem like a tedious task, it can go a long way to gaining new clients. Door knocking to homes and business means you can add a personal touch to your marketing by meeting with people directly and chatting to them face-to-face. The evening is the best time to do so as most people will be home from work. Be sure to be respectful of those who have signs that they do not want any salespeople knocking on their door and don’t continue to knock if they don’t answer (even if you can see or hear people inside). If no-one is home or answering the door, be sure to leave a brochure or flyer in the letterbox or under the door to let them know you’ve stopped by. This is a great step to increasing your marketing potential, especially if you love to have a chat and meet new people. Building relationships with other local businesses and partnering with them is a fantastic way to increase your client base and your network. A mutual partnership will mean that both businesses will benefit. For example, you may benefit with a local car wash and they will be able to recommend your cleaning services for their clients homes and you will be able to recommend the car wash business to your own clients. Other great businesses to partner with include carpet cleaners, landscapers, builders and renovators or even real estates. Be sure to choose a business to partner with that you can honestly recommend and know that their services are of high quality as well. When you’re looking at marketing and advertising for your new business, there are a lot of options that can break the bank. However, it doesn’t have to be this way. There are plenty of other options to advertise your services all whilst on a budget. It can be as simple as printing some t-shirts with your logo on them to give to employees and clients, placing posters and flyers on local community boards and getting your social media in check. Social media is one of the easiest ways to get your name out there. Start by settings up some social media accounts for your business on sites such as Facebook, Twitter and Instagram. You can even provide special deals to those who “follow” you on the sites and even run competitions to those on social media. As mentioned briefly above, real estate agencies are a great way to get started. Real estates often have access to many different types of properties, both to sell and rental properties. Some properties may need a quick clean before an open house inspection or an unruly tenant of a residential property has left an apartment in not-so-good shape when breaking a lease agreement. If you have a good relationship with different real estates and property managers in the area, when they need someone on call to do some cleaning of properties, they’ll know to call you. This can then lead to other jobs if they sell or lease a commercial property to a business and they can then recommend your services to them. You don’t have to spend a fortune on a website. You also don’t need to pay for a an expensive graphic designer and web hosting business to look after your site. if you’re just starting out, a great way to get started is to build your own website. There are plenty of websites online that will allow you to build a basic website that can even include a booking page, blog and a contact page to be able to call or email you directly (depending on where you build your website). Some of these sites will also allow you to buy your own domain name and personalise the site to how you want it. When you’re ready, you could them employ a business to run the website for you, including the addition and update of your website blog. Now that you have set up your business, you have yourself some stable clients and contracts and you’re working on your jobs, you may think all is fine and you can relax a little. Although certainly the hard part is over, it doesn’t mean you can start to slack off on your business. Once you’re at this stage, there’s a few things you should keep in mind and should continue working on even when everything seems to be going smoothly. When running a business, there’s always something new to learn. Even entrepreneurs who have been in business for years and years are always looking for new ways to improve their business. Technology is always improving, advances to equipment and new products on the market are always cropping up. 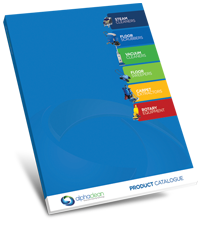 An easy way to keep up to date is by reading industry publications, either online or in print, going to conventions, participating in trade shows and asking your supplier to keep you up to date with new products and services that may be of interest to you. 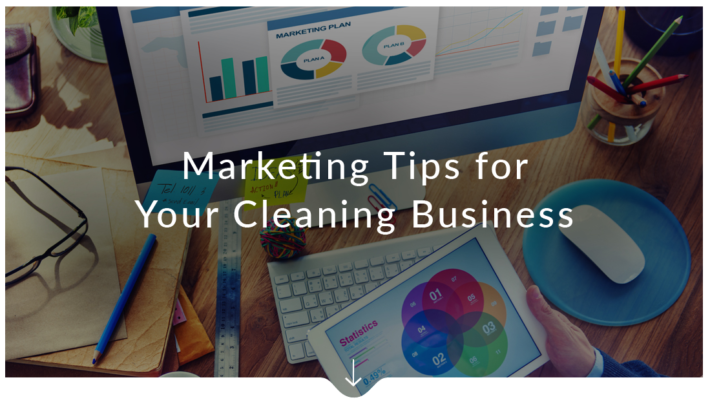 It can be easy to get caught up in the mindset that you’re going to a job to clean it and get paid. This can sometimes lead to burnout and feeling like your job isn’t worth something. Your role as a cleaner is important and expressing gratitude to the great work you are achieving and the ability to be in a role as you are your own boss shouldn’t be forgotten. By cleaning and working as if the property is your own, you’ll be able to provide great results every time and make the job feel that much easier. Everyone has a way of doing a different task. As a cleaner, you need to incorporate your own systems so that everything can continue to run smoothly and hassle free. Whether it be the best way to tackle a bathroom clean or the way you vacuum and mop floor spaces, having a set way to get through these tasks means that you can get the job done quicker and easier every time without mistakes. It can be easy to want to get through a job quickly, especially if you’re running behind schedule. However doing so puts you at risk of making mistakes, which can cost you more in the long run. Ensure that you work carefully at every single job to avoid damages, breakages or simple mistakes. Although a client may be understanding if an accident does happen, it will be best to avoid them in the first place. As you gain more jobs and your business starts to grow, you may need to hire more hands to help you along the way. A great way to get your workers to work at their best potential is to treat them well. Providing a great pay rate, treating them with respect, providing the right training and bonuses and incentives will certainly help them to work better. it may seem like providing all of these bonuses to them will leave you out of pocket, you’ll gain so much more in the long run. You will have less “sick days”ruining your schedule and your employees will be happy to help out when needed. To top it off, they’ll be providing a better service to your clients, making them happy as well.